The defense policy bill approved by Congress on Friday makes several significant changes to mental health treatment and care for military troops, including how often they will receive mental health exams, who can review mental health discharges and how long they — or their family members — can remain in a hospital for mental health treatment. The bill, which authorizes $30.7 billion for the defense health program, rejected Pentagon proposals to consolidate Tricare into a single plan — an idea that would have altered the medical program for nearly all Tricare beneficiaries except active-duty troops — but still makes significant changes to Tricare and military health. Among the largest is a requirement that all active-duty and Selected Reserve troops receive one-on-one mental health screenings once a year. The assessments can coincide with annual physical exams or pre- or post-deployment assessments, but they must be face-to-face, according to the defense policy legislation. In addition, deployed troops also must have an in-person mental health exam once every 180 days of deployment. Sens. Joe Donnelly, D-Ind., and Roger Wicker, R-Miss., who proposed the new requirements, said they are needed to help break down the stigma of seeking help for mental health issues. Donnelly named his original bill for Jacob Sexton, a 21-year-old National Guardsmen who fatally shot himself while home on leave from Afghanistan in 2009. As a Guard member, he had access to online assessments but was required to have a face-to-face exam only once every five years. The legislation, which also requires the Defense Department to provide a report to Congress on in-person mental health assessments, is intended to fill gaps in current requirements, the lawmakers said. For service members fighting involuntary discharges from service for issues possibly related to post-traumatic stress, traumatic brain injury or a related mental health condition, the legislation includes a requirement that the Board for the Correction of Military Records reviewing such cases include a psychiatrist, psychologist or physician with expertise in PTSD or TBI to review the appeal. Currently, the regulations say a doctor must be included in the process but does not require he or she be a mental health expert. Promoted by Sen. Kirsten Gillibrand, D-N.Y., the provision is designed to help those currently serving as well as 30,000 former members who received less than honorable discharges from the military for problems related to diagnoses of personality disorders or adjustment disorders -- two psychiatric diagnoses that the military deems as conditions existing prior to military service that don't merit disability compensation or medical care. Advocates argue that any problematic behaviors that spurred the discharge could be linked to PTSD or TBI and any discharge appeals should be reviewed by a professional with expertise in these conditions. "Justice is finally within reach for the countless veterans who, like me, have been inappropriately discharged from the military due to improperly or undiagnosed service-related illnesses and injuries," said former Army Sgt. Kristofer Goldsmith, a N.Y. native who lobbied for the change. Another significant change in the bill will greatly benefit military family members and troops struggling with severe mental health conditions: The new legislation lifts limits on the number of days Tricare covers inpatient psychiatric care, currently 30 total days per fiscal years for patients 19 and older and 45 days for patients 18 and younger. The change "removes a potential barrier to receipt of mental health care that does not exist for other medical or surgical care," lawmakers wrote in the explanatory report accompanying the bill. The legislation also makes significant alterations to Tricare's pharmacy services. Starting Oct. 1, Tricare patients who take name-brand medications for chronic conditions must fill them at a military pharmacy or with the Tricare home delivery program. 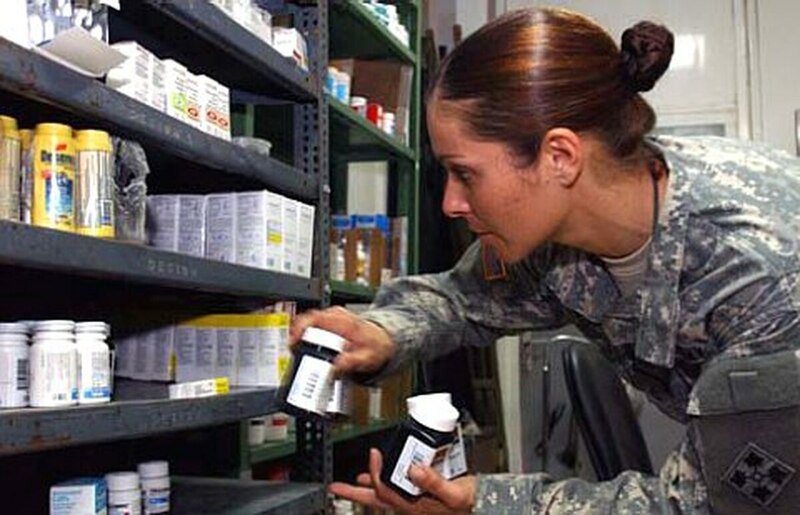 Details have yet to be released by DoD, but the bill essentially forces Tricare beneficiaries to use military pharmacies or mail order for prescriptions for long-term medical conditions unless they use generic brands. The new requirement will save the Pentagon money: Last year, DoD's efforts to move retail prescriptions to mail or military facilities, including a program requiring Tricare For LIfe beneficiaries to use the mail or military pharmacies, saved $74.8 million, according to DoD. But the move also will save Tricare patients cash as well. With prescription copayments included in the new legislation, the cost of a 30-day prescription at a retail pharmacy for name-brand medications will rise to $20 under the new legislation, while the same prescription is provided at no-charge at military treatment facilities. Moreover, a 90-day mail prescription will cost just $16. Beneficiaries still will be able to fill prescriptions for name-brand drugs for acute illnesses at Tricare network retail pharmacies as well as prescriptions for generic brands, which will cost $8 for a 30-day prescription. A provision offered by Sen. Claire McCaskill, D-Mo., to require Tricare to cover the cost of breast-feeding equipment, support and counseling for moms who want to nurse their infants also made it into the final version of the bill. That change aligns Tricare with the requirements of the Affordable Care Act, which mandates that health insurers cover lactation equipment, counseling and support. •The reduction of Tricare Prime service areas. •The use of burn pits in deployed settings. •Fertility treatments for injured service members. •Service resiliency programs and transition care for troops diagnosed with post-traumatic stress disorder. Staff writer Leo Shane III contributed to this report.